Q: Can I expect the same results with Facial-Flex as I do with my body when using resistance training? A:Yes. The 30 muscle groups that hold your facial skin firm can be strengthened and toned with resistance training. Q: How quickly can I expect to see results from using Facial-Flex? A:Like exercise, the facial rejuvenation you can expect to see will vary from person to person. However, if you follow the recommended instructions, you should see visible results in face toning and facial wrinkles in weeks. Q: If I use my Facial-Flex twice as much, will I see twice the results? A:No. Facial-Flex is carefully calibrated to achieve maximum results in a minimum amount of time. Do not exceed the 2-minute exercises morning/evening regimen. 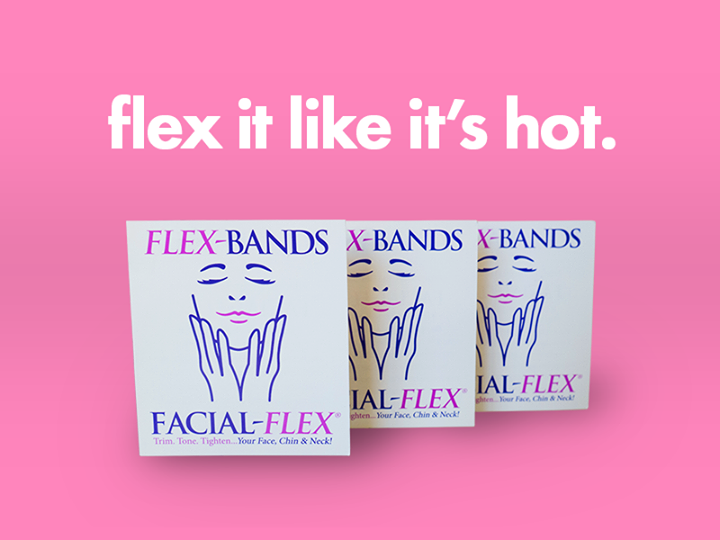 As your facial muscles become firmer and stronger, use a higher level of Flex-Bands for optimal results. Also, remember to change the Flex-Band each week. 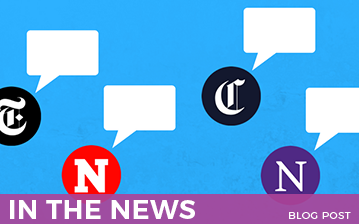 Q: Can I trust Facial-Flex to produce results? A:For more than 25 years, Facial-Flex, registered as a Class 1 medical device with the Food and Drug Administration, has been used by medical professionals and individuals with effective results. Over one million Facial-Flex devices have been sold and are in use today. Clinical studies have proven the device’s efficacy for both therapeutic and aesthetic use, and Facial-Flex has been tested and has been registered as a Class 1 medical device with the Food and Drug Administration and their equivalent in Europe and Canada. Q: Can I use regular rubber bands? A:No. 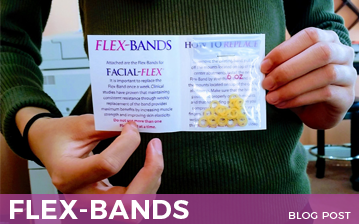 The Facial-Flex Flex-Bands are made specifically to generate optimal results and should be changed once a week. Once your facial muscles strengthen, you will need to switch to a higher resistance weight to achieve maximum facial rejuvenation. Q: How often do I change the Flex-Bands? A:Flex-Bands are available in 6oz., 8oz., and 14oz. As you become comfortable with the face-toning exercises you will need to transition to a higher resistance to continue seeing improvement. Changing to a higher resistance challenges your muscles, increasing their strength and face-toning capability. For optimum results, the Flex-Bands must be changed weekly. The bands fatigue and the resistance decreases with use. 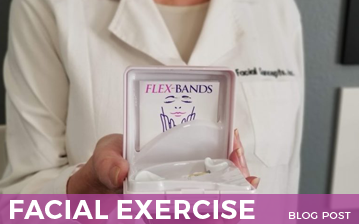 Do not use more than one Flex-Band at a time. 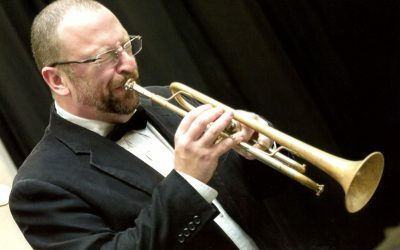 Q: Does Facial-Flex accept international orders? A:Yes. 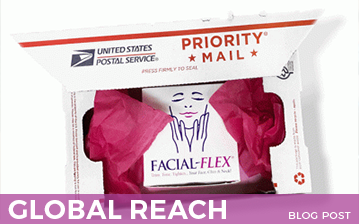 Facial-Flex ships worldwide! Go to our shop now page to see if your country is in our dropdown list. If it is not, please email us at customerservice@facialflex.com. 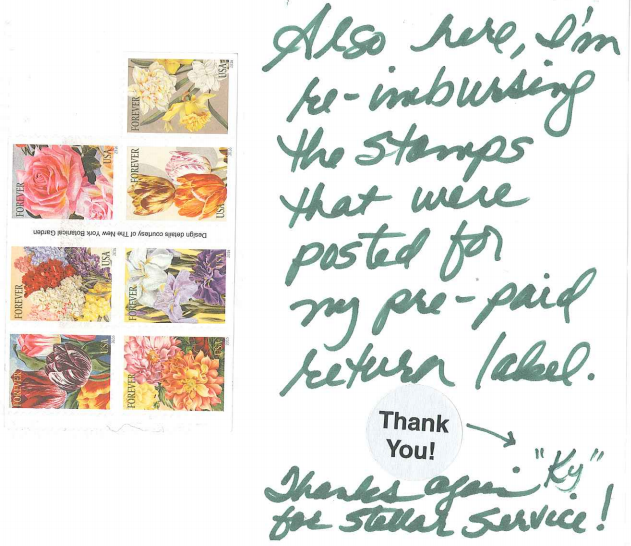 Please note, we ship internationally via USPS, and the customer is responsible for any additional duties and/or taxes that may be charged by countries outside of the United States. Q: Does Facial-Flex sell a pediatric device? A:No. Unfortunately we are not selling a pediatric device at this time. 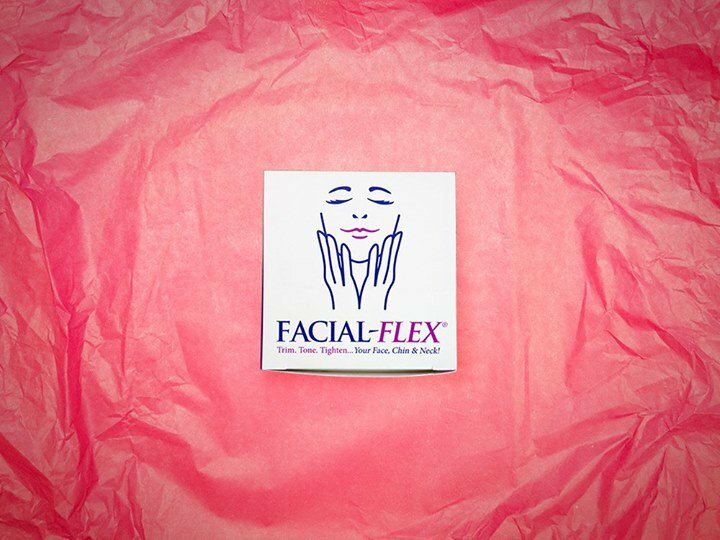 Please email us at customerservice@facialflex.com if you would like to be placed on waiting list for this product. Q: What material is Facial-Flex made of and is it safe? A:Facial-Flex is made in the USA with surgical grade stainless steel and nylon. Both are thoroughly tested and approved for safe use in our product.